The 2590 display phone is designed to give the user more information on incoming calls, ease of access, and dialing outgoing calls. The Large eight line backlit displays tells the user who is calling by displaying both the Caller ID information and the dial code for that station in large clear text. The programmable feature keys and special function keys allow the user to set up dial codes for those frequently called numbers such as making zone pages, emergency page and other common functions easy to perform. The redial feature makes calling back a station to confirm care was received or answer a question a simple push of a button. 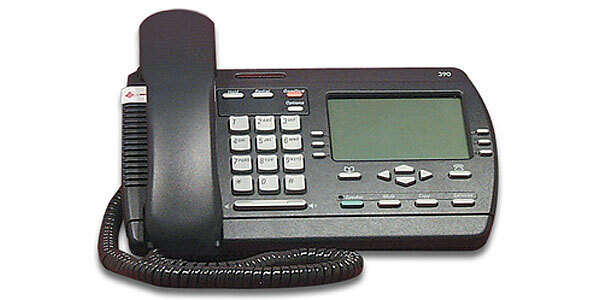 On Hook Dialing allows the user to establish a call without lifting the handset. Hands free communication is possible by simply pushing the clearly marked button and speaking as in a normal conversation. The large Incoming Call Indicator Light and associated ringer tone lets staff know that a call is pending and someone needs assistance. Current Date and Time is displayed when the phone is idle.